Vitamin B6 benefits put it square on the list of important immune system vitamins. Yes, most people know that if you want energy, you turn to the B vitamins. But did you also know that a couple of these vitamins boost your immune system? Vitamin B6 is one of them (Vitamin B12 is the other). I'm going to talk about vitamin B6 separately, but keep in mind that (as with ALL the B vitamins) they work better together. If you take too much of one and not enough of the others, you can really get out of whack. So buy yourself a bottle of B complex vitamins and save yourself some hassle. 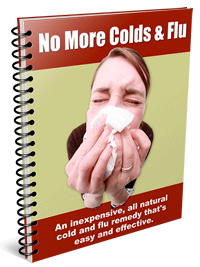 You'll get even more benefits that an immune system boost. Vitamin B6 is also known less commonly as pyridoxine. It is a critical nutrient, especially as we age, for strong immune system defense. It's a powerful little nutrient that can stop bacteria and viruses dead in their tracks. The average person would do well with 50 mg per day. Higher doses might be needed if you are showing symptoms of a deficiency. The good news is that vitamin B6 is completely nontoxic as long as it is also taken with similar amounts of the other B vitamins. Other benefits of vitamin B6 (besides boosting your immune system) include being able to prevent heart disease, hormonal imbalances, pregnancy problems, and certain brain disorders. This vitamin also helps our bodies metabolize minerals properly.